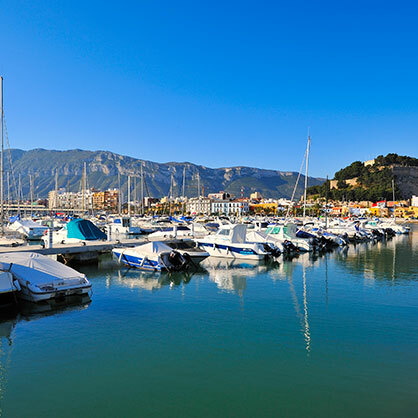 Dénia is located on the Costa Blanca by the Mediterranean Sea and at the foot of Mount Montgó, Good climate –average temperature at 20ºC- and natural surroundings shape Dénia’s rhythm of life. The traditional and innovative Mediterranean local food joins with fishing boats, that come and go all day long. With sailing boats, that follow the course of waves. And with a festive atmosphere. 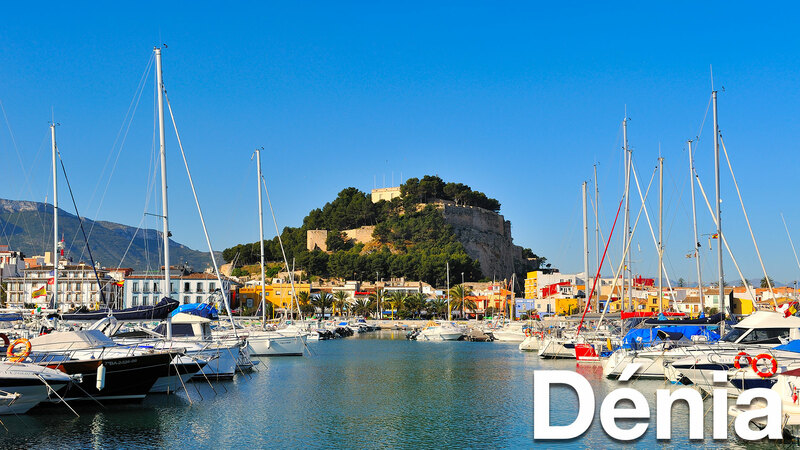 Indeed, Dénia has been awarded UNESCO Creative City of Gastronomy given that the city is devoted to quality and food sustainability. And the Red Prawn, from the Mediterranean Sea, plays a main role in Dénia. Prawn has a deep red color and an intense flavor that makes it the best in the world. Red Prawn of Dénia is only caught in the fishing sea channel between Dénia and Ibiza Island. Boiling it in seawater is the most humble elaboration. So Red Prawn represents the central nature of local food. Notwithstanding its nature, Red Prawn is also used in new recipes with a creative touch. That is the reason why the International Creative Cuisine Competition of the Red Prawn is celebrated every year in the Local Market. “Arròs a Banda” is the other main local dish, joining together sea and land. It is a traditional dish from Dénia, which was cooked by sailors in their boats. But, a great number of rice dishes are cooked in a surprising way: rice with spinach and anchovies, rice with cuttlefish and artichokes or rice with lobster. All of them are just a little sample of local food. Indeed, rice can be served with, or without, broth as taste dictates. Apart from rice dishes, there are more outstanding local dishes: seafood, sea urchins, dried octopus, prawn with chards, “llandeta” fish broth, “suquet de peix” fish stew, “espencat” (red peppers, eggplants and dried cod), salted fish or “coques” (tomato, peas, anchovies and oil over a baked dough). Pumpkin, sweet potatoes or almonds are the main ingredients of local typical desserts, served with a shoot of “Mistela” which is sweet wine from the region. It is not in vain that local wine is widely produced across Marina Alta County, being Dénia its capital. In Dénia, dishes are elaborated by renowned chefs and cooks. The most recognized is, without a doubt, Chef Quique Dacosta, with a Michelin 3-star restaurant in Dénia. 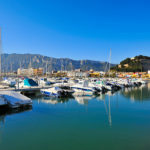 Besides, more than 300 restaurants, either in the city centre, the historic area, at Marines Beach, on the seafront…or along sandy beaches or rocky coves. These are the landscapes you can see when you look across when tasting unique Mediterranean dishes. Not to mention good weather as well. Santissima Sang Day is a bank holiday in Dénia that takes place the second Wednesday after Saint Peters Day. The Festa Major programme, organized around this day, begins the Saturday before and ends the next Sunday. 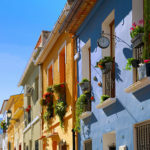 The streets of Dénia are crowded with moors and christians in mid-August, representing the Christian Reconquest of Dénia in the middle of the 13th C.
14th August: Children’s Gala Parade.